Vertical version of Holly for Christmas time and the holdays. 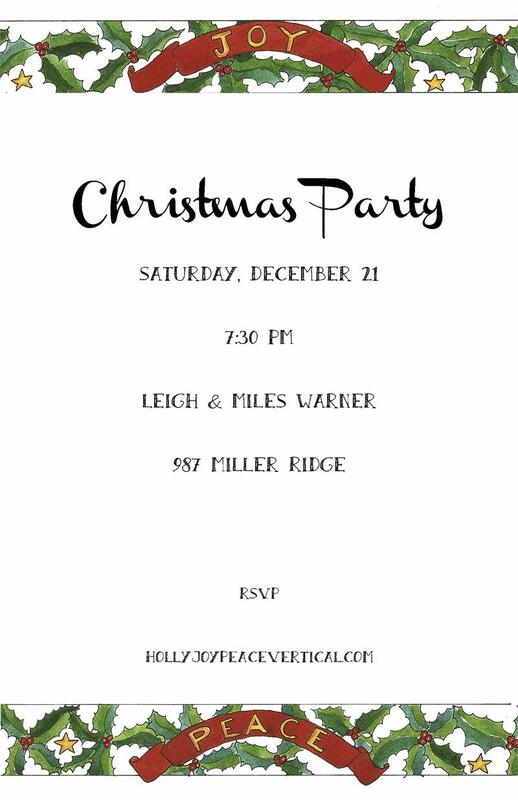 The perfect invitation for a December rehearsal dinner, birthday party or a cocktail party. Measures 5.5 x 8.5, and is shown using the fonts Channel (top) and Sandwich paper.